In 2002, I was 11, and like many kids my age, the films of the Disney Renaissance – The Lion King, Aladdin, and Beauty & the Beast, to name a few – were a major part of my childhood. Similarly, my gaming world was deeply influenced by Final Fantasy and other JRPGs being produced by the likes of Squaresoft. So, like thousands of others, I was the perfect mark for a ludicrous title like Kingdom Hearts. These days, the idea of mashing up the role-playing mechanics and Japanese influence of Final Fantasy with the animated worlds of Disney… well, it’s still surprising how well it works, but back then, it seemed like a recipe for disaster. Somehow, though, it all came together to create a juggernaut franchise, one that easily rivals Final Fantasy itself as one of the most popular creations to come from Squaresoft (now Square Enix). It’s such a big deal that even now, 11 years after the last main entry in the series came out with Kingdom Hearts II, fans are still desperately waiting for the full sequel that none of the many spin-offs and side games have delivered. 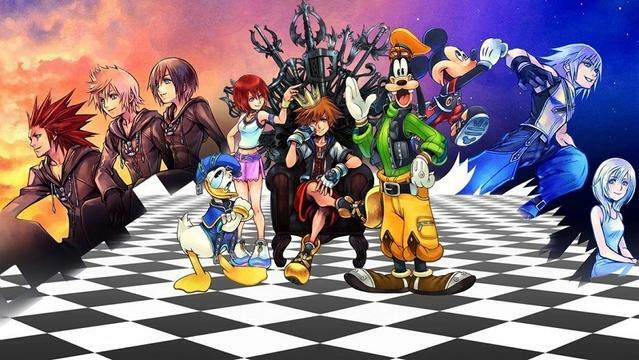 Square Enix has released remakes, handheld titles, mobile games, HD remaster collections, and even playable prologues, but Kingdom Hearts III has eluded gamers for over a decade. 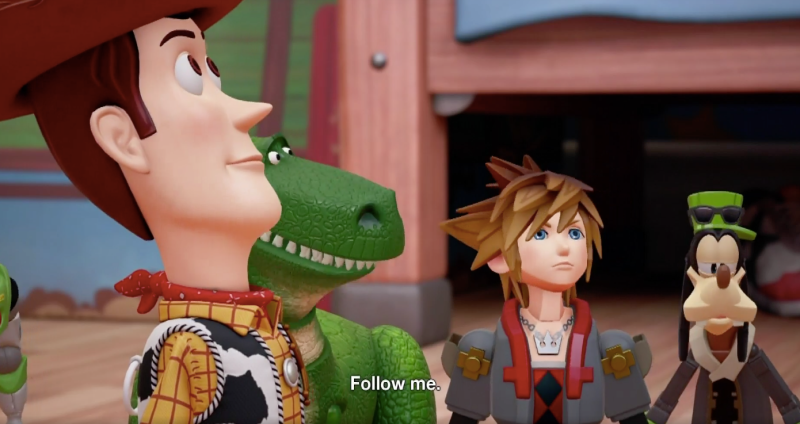 Then, this past weekend, at the D23 Expo, Square Enix finally gave fans what they’d been waiting years for: a release window; Kingdom Hearts III will release in 2018. Now, this is Square Enix, so it’s important to take that date with a grain of salt, but it’s hard to deny the excitement that comes with thinking this game may finally be just around the corner. As it happens, this past week is also when I finally got a PS4 – thank you, Amazon trade credit and Prime Day deal! – and one of the first games I decided to get was Kingdom Hearts 1.5 – 2.5 Remix. As bafflingly named as the games collected within, this HD collection contains, in some form or another, the first six games released in the series. So, to have that release window revealed just as I’m revisiting the first adventures of Sora, Donald, and Goofy is a pretty nice bonus. Further, since replaying these games is coming with so many new thoughts and observations, I figured why not chronicle my trip through the series here on the site? And so, a retrospective with a name almost as ludicrous as a Kingdom Hearts subtitle was born: Unlocked Reminiscence. With this retrospective, I’ll be looking at every entry in the Kingdom Hearts series, from the original adventure through the A Fragmentary Passage, the prologue to Kingdom Hearts III. There won’t be a set schedule to these entries, with new articles coming out whenever I finish a new game. However, I’m already halfway through the original, so it shouldn’t be long on that one. And while I don’t expect to add anything new or substantive to the ongoing conversation around the franchise, I hope it’ll be fun for everyone to casually revisit the series along with me. Tags: Disney, Features, Gaming, Kingdom Hearts, Square Enix, Unlocked Reminiscence. Bookmark the permalink.